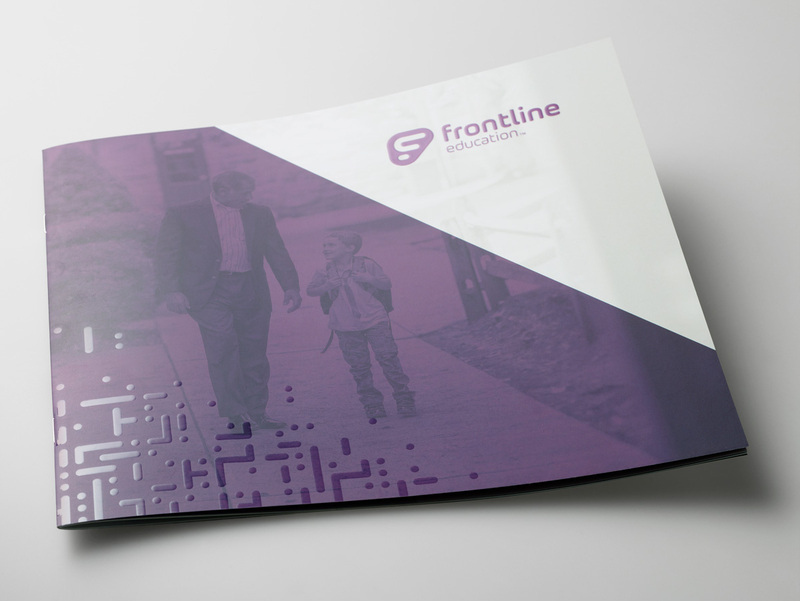 Brilliant harnesses the power of print for the award-winning design team at Frontline Education. 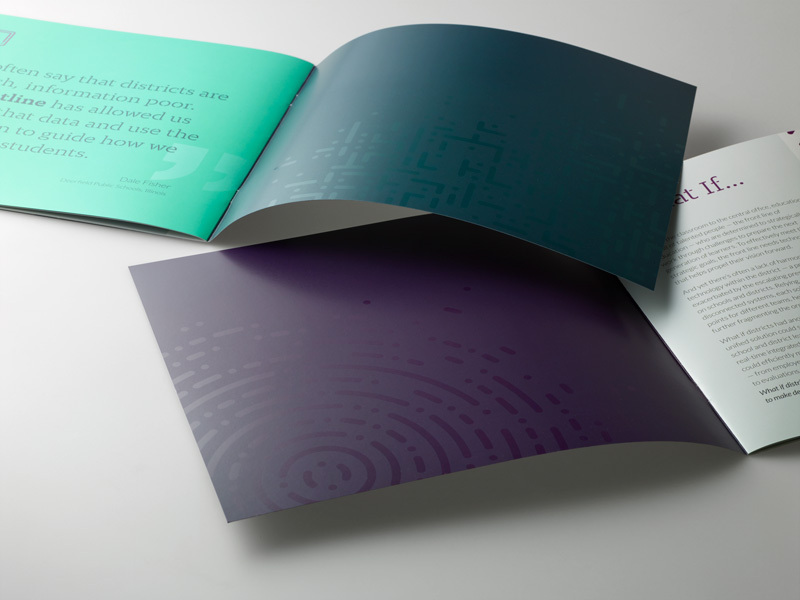 Their recent booklet features eye-catching contrast between gloss and matte textures, achieved by applying Scodix© digital UV enhancement, soft touch coating, dull varnish, and drip off gloss coating. Saddle stiched, 12 pages plus cover. Cover includes high gloss Scodix© digital UV enhancement and soft touch aqueous coating. Text pages and inside cover complete with drip off dull varnish and drip off gloss Aqueous Coating. A high gloss, dimensional pattern was added with our Scodix© digital UV enhancement press over the rich purples of the cover. 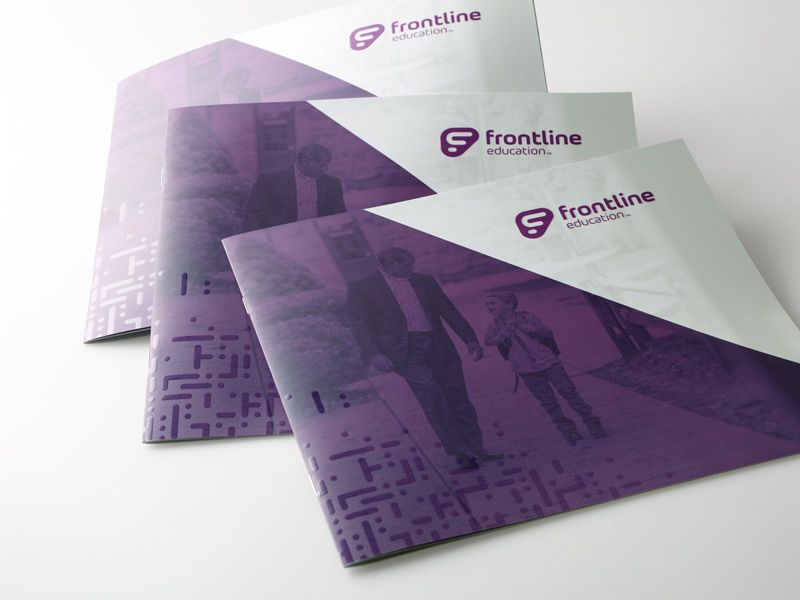 The drama is intensified with a soft touch aqueous coating to create a matte tactile surface, for a cover that transcends the look and feel of a traditional booklet. Continuing inside, the high-gloss patterns receive a Drip Off gloss/dull coating that provides excellent contrast. Brilliant’s thoughtful finishes bring the perfect polish to the Frontline Education team’s dynamic design. Make your print shine with Brilliant.